Audi has uncovered its design icon all new Audi TT Sportscar in India. 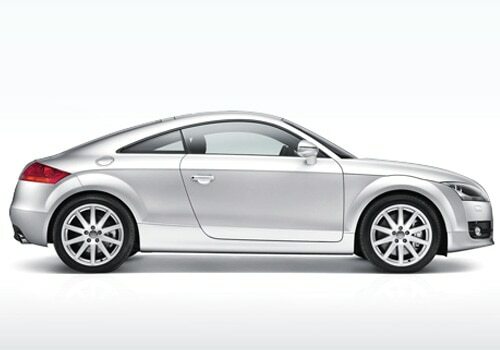 Audi TT Price is tagged at Rs 48.36 lakh (ex-showroom Mumbai) and the car will be available in India from June 2012. Audi TT review as coupe car have set the bar very high for the new Audi TT Sportscar. The new Audi TT pictures unveil the state of the art design this sportscar has been blessed with. The sportscar has faced a complete change of its front and rear ends. However, the side of the car retains the iconic coupe lines which allows this car to be uniquely identifiable. The front end of the sportscar is given a facelift and is equipped with the brand new grille, bumper and headlamps. The fog lights are integrated with the LED day time running lights. The new luxury car which is Audi TT is more expensive as the 2012 Union budget has increased the excise duty. The new Audi TT will be imported in India as CBU, and the excise duty on CBU imports have been hiked from 60 percent to 75 percent. This 15 percent increment in excise duty will directly affect the price of the new Audi TT. The sportscar is available in both petrol car and diesel car variants with two petrol models and one diesel model. But, Indian roads will see only the petrol variant of Audi TT, 6 cylinder car powered via 2.0 L TFSI turbo petrol engine. This petrol engine has maximum power output of 211 Bhp and produce peak torque of 350 Nm. The other two variants will not be launched in India comprises a 1.8 L TSI turbo petrol engine and a 2.0 L TDI turbo diesel engine. I recently shared that rising from ashes-Datsun to be brought back to life and Chevrolet Tavera Neo drive in at Rs.7.51 lakh.